We have been using a metal stool on our bus, and our church members who take the bus aren’t getting any younger. I Googled for a step stool, and your product looked like it would fill the bill. I liked the size of the stool as well as the height for stepping from our bus’ last step. I will let you know what kind of feedback I get once we receive it and have had a chance to use it. I always appreciate a company that follows up to see how they can improve their product as well as their marketing. Mike works for a church where the members are having a harder time getting on the bus than they are used to. 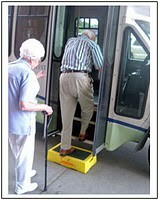 The Shure-Step model Senior Step (SST) was designed with 4 directors of assisted living centers and retirement homes. 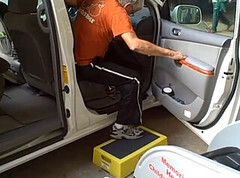 They told us exactly what they wanted for their residents, a safe, sturdy 6 inch high step that is easy to see. Oh and by the way, it needs to hold a lot of weight. Bam! Done! 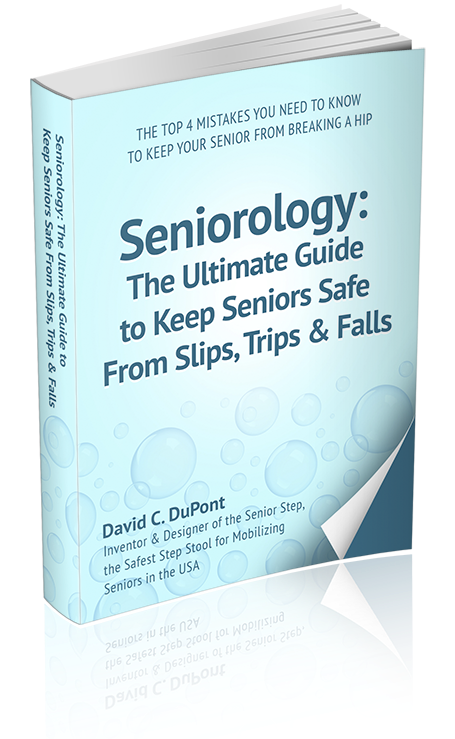 There is no other step stool in the world designed by and for seniors getting on and off a bus the way the Senior Step is.